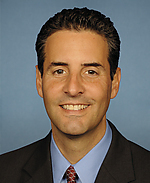 Info Congressman John Sarbanes has served in the U.S. Congress since 2007. Born and raised in Baltimore, Congressman Sarbanes has nearly two decades of experience working in the private, public and non-profit sectors. In 2006, he was elected to the House of Representatives to represent Maryland's 3rd Congressional District, which spans portions of Anne Arundel County, Baltimore City, Baltimore County and Howard County. Congressman Sarbanes has been appointed to the Energy and Commerce Committee where he serves on the Health Subcommittee and the Commerce, Trade and Consumer Protection Subcommittee and and he is also a member of the Natural Resources Committee with a special focus on parks and federal lands. 04/28/2020 MD District 03 - D Primary ?? ?